"Eat your vegetables", said the voice in my head as I looked at the dinner menu. So I forced my eyes to the salad section again. It looked predictably dreary, until I suddenly caught something: The arugula and mushroom salad came with parmigiano. Once again, cheese saved the day. While other notions about the Swiss may just be cliches, their fondness for dairy products is definitely real. Cow juice and its derivatives are a staple on any table, no matter which part of the country you're in. Ovaltine with milk for breakfast, creamy pasta sauces at lunch and Gschwellti for dinner; dairy is everywhere. Both old (government-assured prices for any quantity of milk farmers produced) and new (liberalized European markets and removal of quotas) agricultural policies have ensured that dairy is abundant and affordable - something that cannot be said for Canada. But tastes don't change, and so I find myself spending inordinate amounts of loonies on milk products in Québec, despite the reservations I have about the treatment of cows. As a local dairy farmer recently confirmed to me, the province's farmers keep their cows indoors all year long so that they can squeeze more of the precious white liquid from their udders. "We have no choice", he lamented in a well-rehearsed speech about the unfairness of the markets. And yet he did not find it strange that in Canada, a kilo of beef costs less than a kilo of cheese. Silly me; I had always believed in the old business saw that has cows involved in producing milk, but committed to making steaks. It may even be a mild addiction: When travelling to Asia, I often have milk cravings after a few days of local cuisine - no matter how much I appreciate Asian fare. Little surprise, then, that an Indian friend once candidly told me how to him, we northern Europeans all smelled like sour milk. I am not ashamed, since I consider myself in excellent company. And I keep an open mouth mind - trying out local milk products from Morocco to Macedonia. Charles de Gaulle may have wondered how one can govern a country of 246 cheeses, but there is no question on how one can love it. So yes, this tale has many holes in it. But it nonetheless has a happy ending. 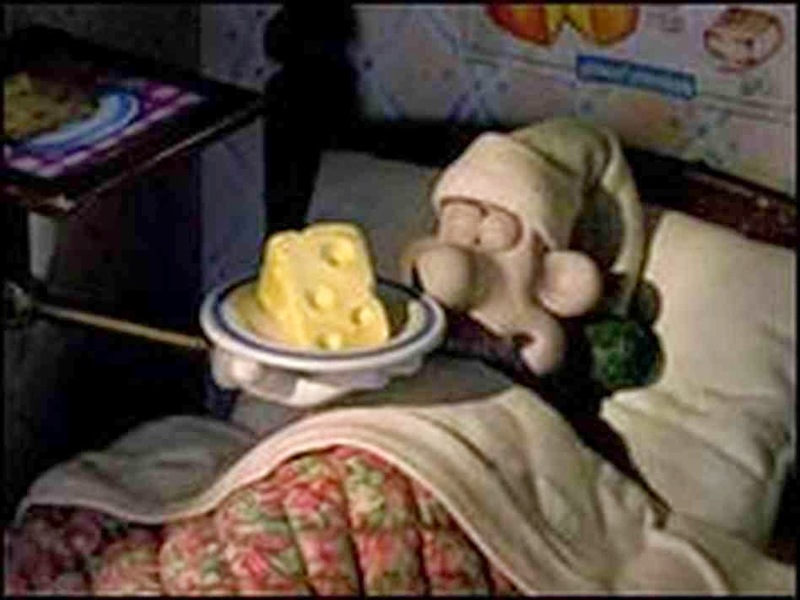 For no matter how hard the times are, there is one word that will always put a smile on my face: Cheese!